I love the black and white trend going on right now, but I am also a huge fan of color. What's a girl to do? Mix it up of course! 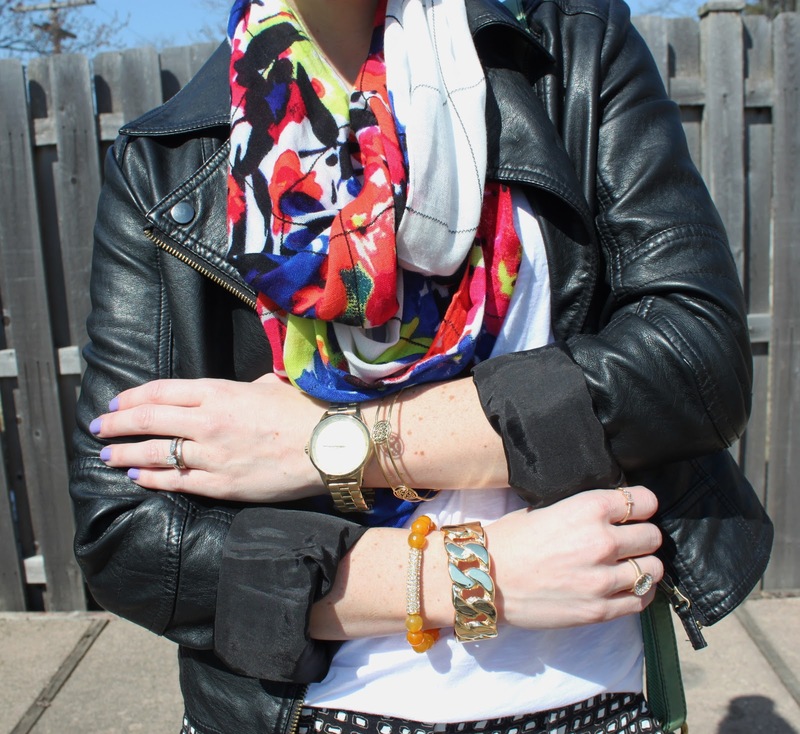 I got these shorts, tee, and scarf from my in-laws for my b-day and I am LOVING them all! I was so excited to mix in my Just Fab wedges...you will be seeing these tons over this spring/summer season. They are cozy and I love how the black pulls into the wedge and doesn't stop at the foots end. Love the outfit. Cool shorts. Awesome shoes and your outfit is great! killer heels! i love the longer shorts, as well. Just wanted to comment on your blog. You could earn some money by this kind of blog. Some helpful tips are to blog daily with good content, also leave some videos every now and then. For more on how to do this go to www.erictheblogger.com.